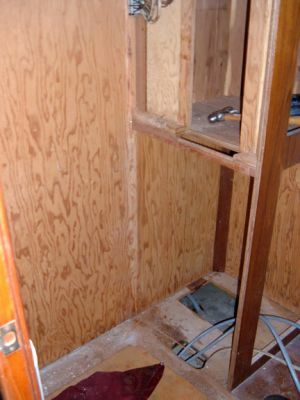 The first step to installing the bathtub and the elegant Mariner Thermomix faucet is to remove the existing shower stall and the small linen closet next to it. The shower stall had to come out in pieces. The edges were fastened with 5200 and could not be saved even if we had wanted to. The shower stall demolition has been completed. 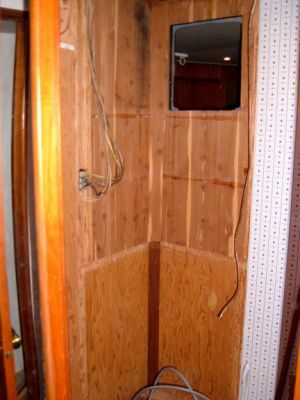 The shower stall is gone and the bulkhead sparating it from the closet has been removed. 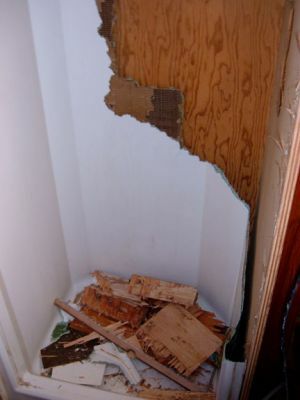 This is what remains of the linen closet after all the shelves were removed. 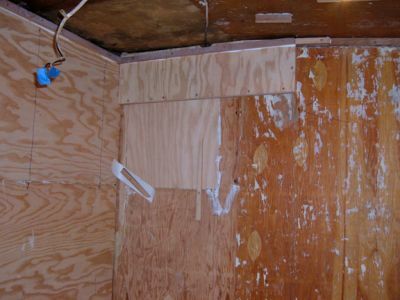 The hole in the wall is where the TV for the VIP Stateroom was mounted. (We intend on mounting a flatscreen on the wall to replace the conventional TV that took up so much room). 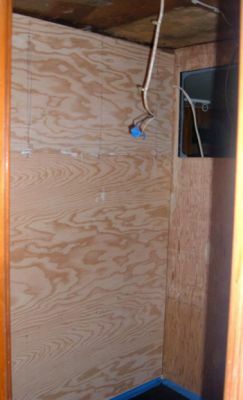 Next, we will bring in the new tub and see how we need to configure it to make it work. 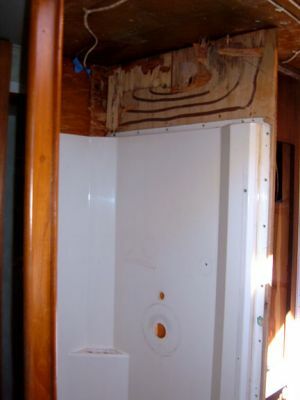 Walls in boats are not hollow like those in homes so the wires and plumbing may become problematic. 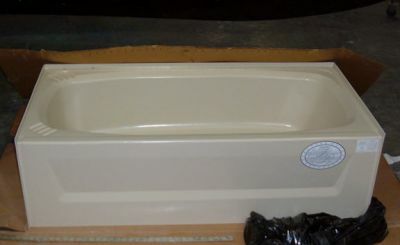 This tub, made of ABS Plastic, came from an RV dealer called Leo's Vacation Center in Crofton, MD. Many items from the RV world can work in a boat because they are designed with the idea of optimizing space. 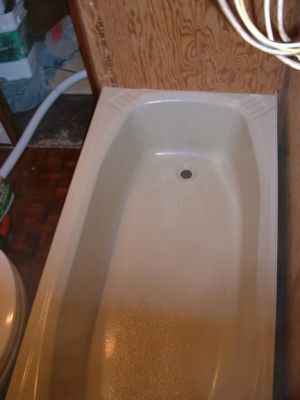 The tub is 54" long and 27" wide. We had to cut 1" off each end in order for the tub to fit our 52" space. A tight fit! We believe that with the proper treatment we can make the head look more spacious than it did with the shower stall. 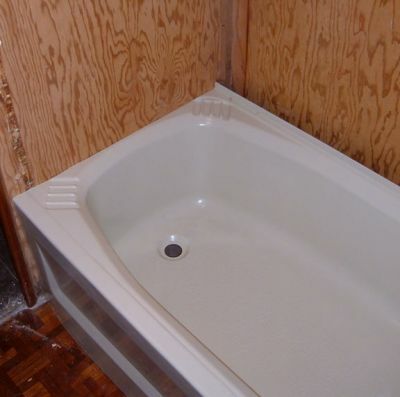 The tub will sit next to the door jamb. This is about 1 and 1/2" further out than the shower stall. 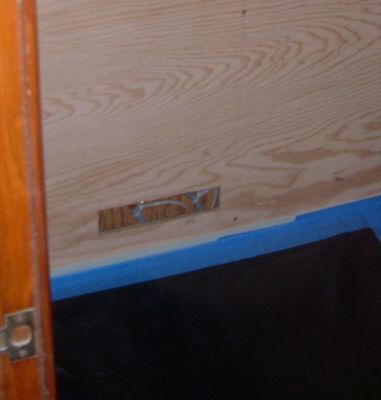 The tub needs to be placed away from the wall - just enough to provide room for plumbing and the existing wires that run to the switch in the VIP stateroom. A new plywood wall will be built to conceal this space. The back wall is installed and allows for plumbing and electric to run behind it. The wall will be coated with a sealer and an vinyl ocean scene applied. 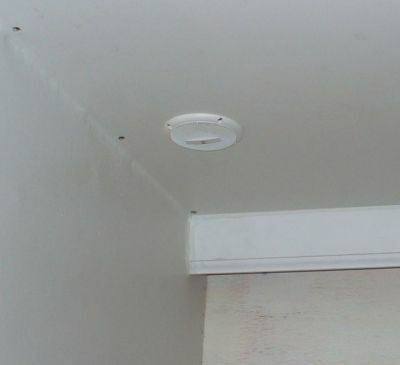 The wall will be lit with rope light hidden from a valance. This photograph shows the end wall that borders the VIP Stateroom. The hole from the previous TV has been filled. 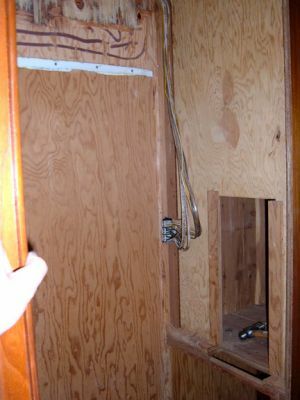 In addition, a step-out box was created so that wires and cable from the new VIP TV can be routed and hidden. This photograph shows the back wall. 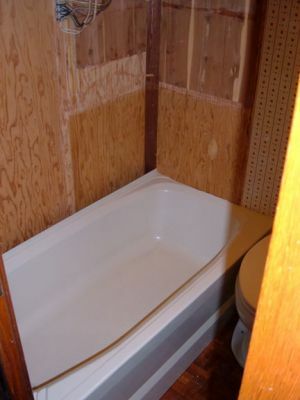 We have taped a protective cover over the tub while we are working with and around it. The hole is for a Mariner Thermomix shower/tub combo faucet. Careful attention was paid to placement of the faucet so that we can sit at either end of the tub, comfortably. Ever mindful of water conservation, this way, two can take a bath together! 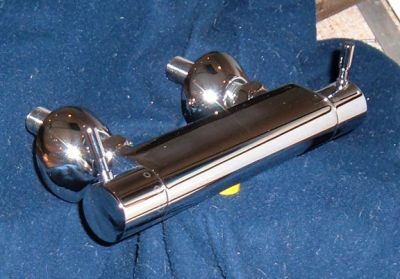 This is the Mariner Thermomix shower faucet. The shower/tub version of this will be installed for the master bath. The handle on the left controls the amount of water flow and the right handle allows you to dial-in the desired temperature. This is the epitome of luxury and convenience. 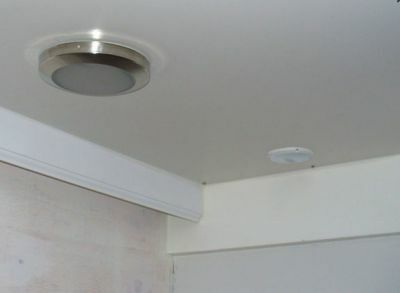 Since we cannot sing, we installed Poly-Planner speakers in our tub/shower. These waterproof speakers are sweet and fit in nicely. Now we can listen to Michael Buble while in bubbles. Warm bubble bath, candlelight, ocean scene in the background and Michael Buble music playing can set the mood. I'm feelin lucky!